It was another in a string of warm and sunny Saturdays. It wasn’t very long before we were feeling the effects of the heat and humidity. 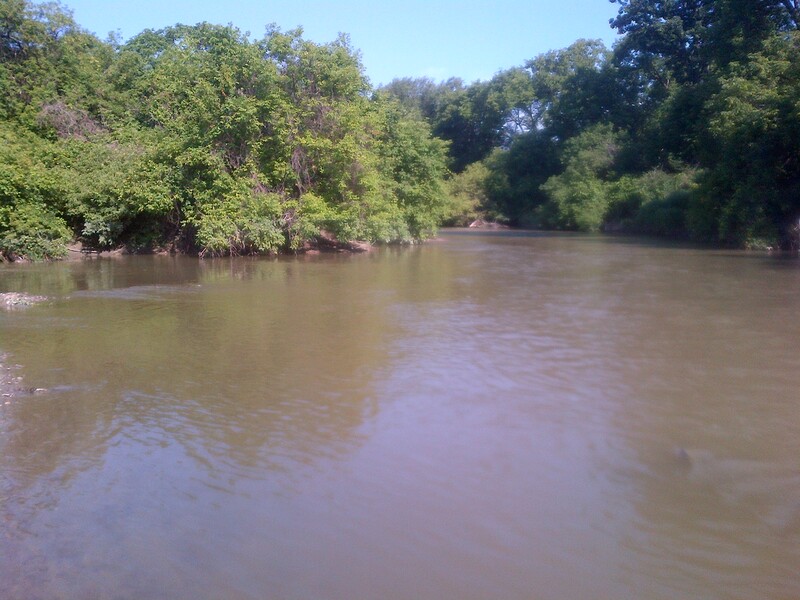 The Humber river has a west branch which meets up with the main river in Summerlea park. We parked both vehicles here and took a brief excursion to the confluence of the two. The water was high and dirty. There is a stretch of rocky shoreline here where we found two excellent examples of Crinoid fossils. 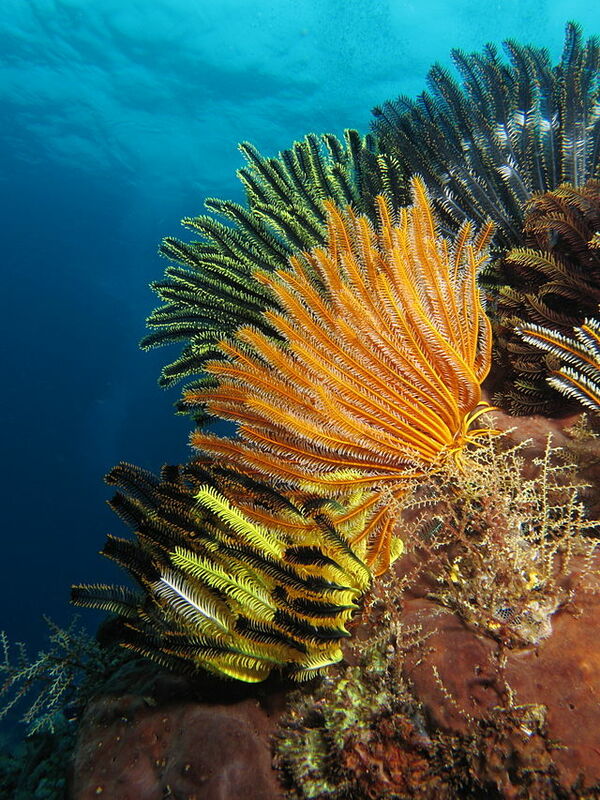 Crinoids are marine animals of which about 600 species exist today. They have a mouth surrounded by feeding arms. The arms have a mucous that captures food particles as they float past. The picture below is a species that lives near Indonesia today. The two crinoid examples below are the best we have seen so far. The segments of the feeding arms have been particularily well preserved. 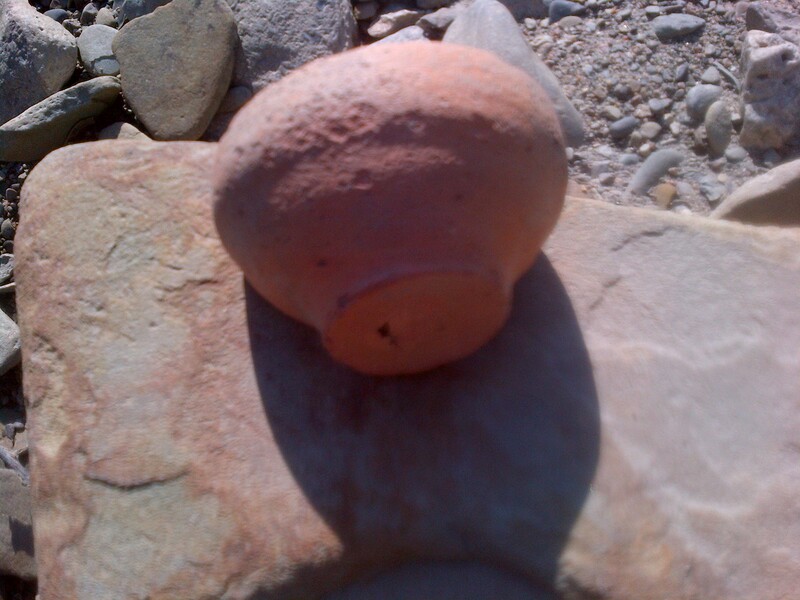 We also found a very small piece of pottery about the right size to hold a small candle. We left one vehicle parked here and moved to the corner of Finch and Islington where we parked the other in Irene Risk Park. We wanted to look for Rowntree Mills after which the park on the east side of the Humber, just north of here, is named. We didn’t find the mill because we got side tracked and actually never looked for it. Along the side of the ravine there is a deep set of woods with multiple steel artifacts. As we wondered through here we saw deer in front of us. We followed their trail and ended up on the side of the hill again. Dairy farmers used to sell their milk to local creameries and cheese factories. They collected the milk in 17 gallon milk churns which were left on a platform at the end of the laneway. In the 1930’s a smaller 10 gallon churn was introduced. Creameries collected the milk and packaged it in glass bottles which were delivered directly to the home well into the 1950’s. With the improvement in processing and delivery of dairy products a lot of smaller dairy operations were bought out and closed. A 1925 list of cheese factories and creameries in Canada lists 1600 in Ontario alone. By 1998 there were only 270 in all of Canada. 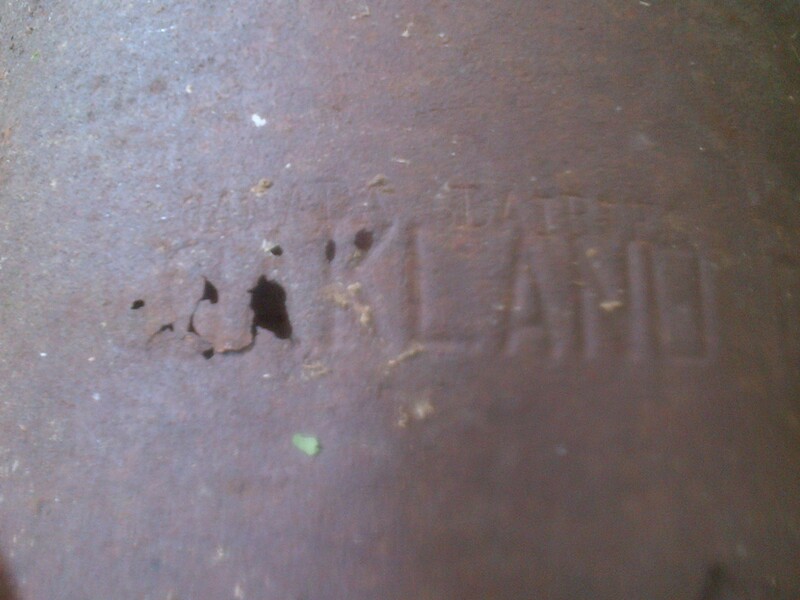 We found the old milk churn in the cover photo which was imprinted with “Canada Dairy” “Oakland” “Toronto”. In the 1925 directory Oakland Dairy Limited is listed as registration #419 at 108 Nassau Street, near Spadina and College. 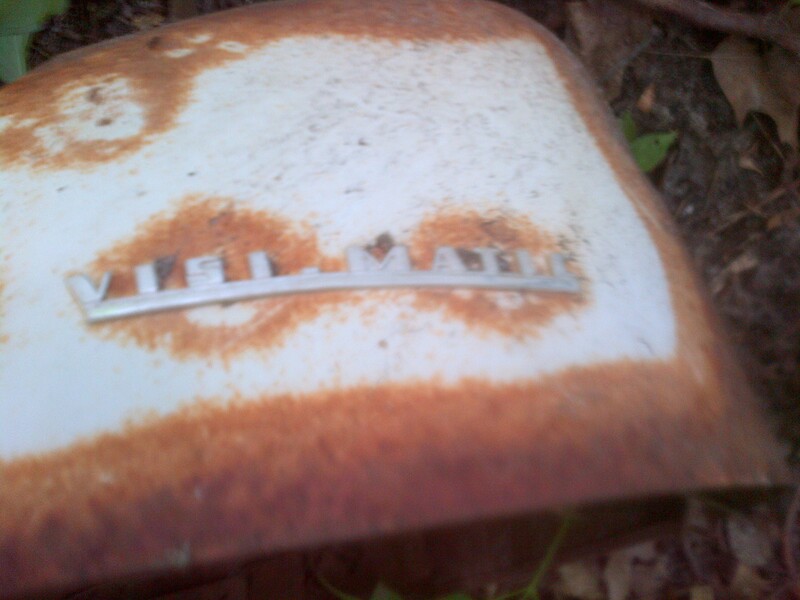 It seems like every week we are finding parts of old washing machines. This is the wringer hood from a Kenmore Visi-Matic wringer washer. Kenmore was the store brand sold by Sears. Like the Thor and General Electric we found earlier, this one is from the 1950’s. There doesn’t appear to be a good reason for so many washing machines to be spread out along the Humber River valley. Jim Gifford in his book “Hurricane Hazel” published a photograph of a washing machine that had been swept out of a home and deposited along the flood plain. While that may explain the Thor machine, the GE and Kenmore were found well up the side of the ravine. 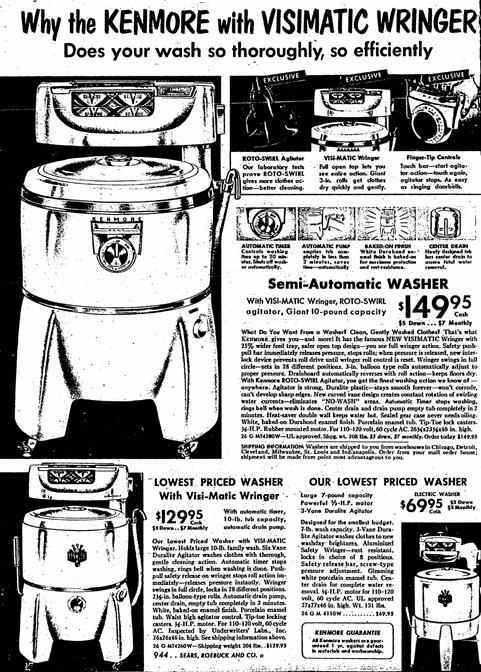 This washing machine sold for $149.95 in 1954. The side of the ravines in Toronto are strewn with old bricks. Some of them have a story to tell. 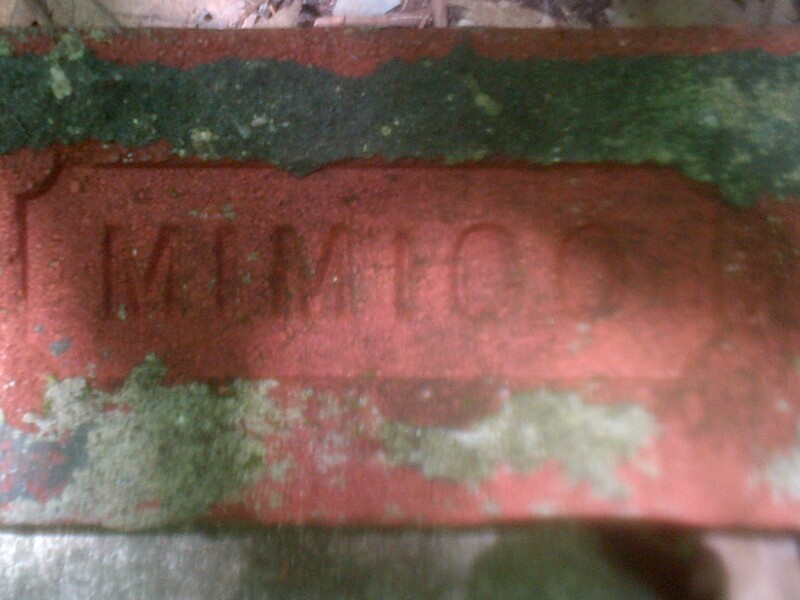 In 1913 the Ontario Government found clay and shale deposits on land it owned in Mimico and opened the Toronto Brick and Tile Company using labour from the Toronto Central Prison which had opened in 1874. The plant could produce over 2 million bricks per yer which were used on government buildings providing a cheap source of construction materials. During WWII the site was converted into POW Camp 22 and housed German marines and U-boat men. In 1969 it was closed after pressure from labour unions claiming the factory was taking jobs away from their members. The Mimico brick below was either made by a prison inmate or a prisoner of war. As we made our way south along the hillside we got boxed in between two fences. There is a large assortment of old metal objects along here including an old bbq, an engine, old oil containers and car horn. 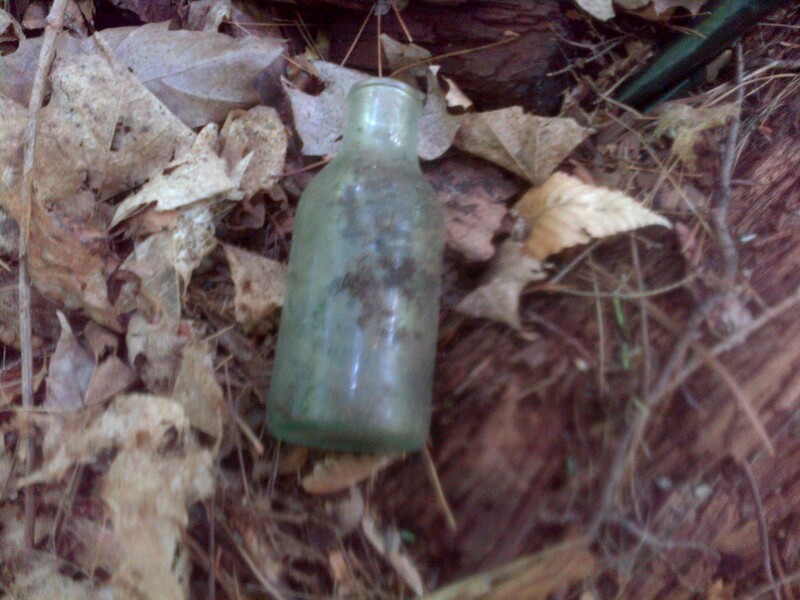 We also found an old bottle from the late 1860’s or 1870’s. Bottles from this era are dated by the seam on the side. On this one the seam only extends to the bottom of the neck and the lip on the top was added later. It looks like Rowntree Mills will have to wait for another day. 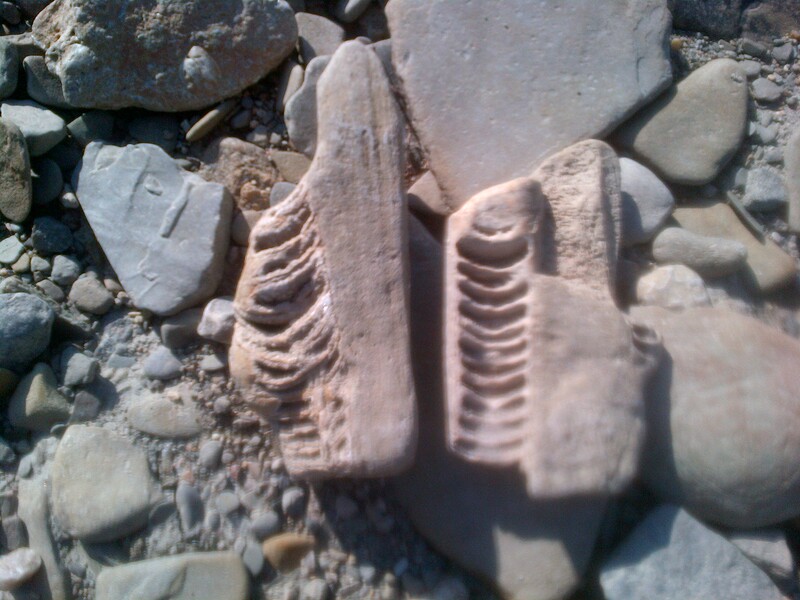 This entry was posted in Hiking GTA, Humber River and tagged Crinoid, GTA, Hiking, Humber River, Oakland Dairy, Toronto on July 13, 2014 by hikingthegta.